Back in Cambridge visiting her lover, Inspector Edward Gisborne, Vancouver history professor Gillian Adams tussles with a double murder. 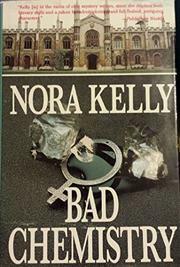 First, there's the killing of Wendy Fowler, a blunt, directive counselor at the Pregnancy Information Service (PIS) and a brilliant, ambitious chemistry research fellow well-hated by the boorish/envious/fuddy-duddy males in her adoptive department--all except for the married colleague with whom she'd been carrying on an affair. Before Edward and Co. can identify Wendy's married man, they find the body of Cynthia Perdreau, who'd had an abortion just before her murder--and just after consulting the folks at PIS. Is PIS the link between the two women, or is the answer to be found among Wendy's colleagues or in her research? More nuanced in its feminism than In the Shadow of King's (1984) or My Sister's Keeper (1992)--her involvement with Edward moves Gillian to defend the police against a particularly vitriolic anti-male diatribe--but, after some promising early hints, just as exasperating in its detection, which never gives you a proper look at the murderer before the net closes in.